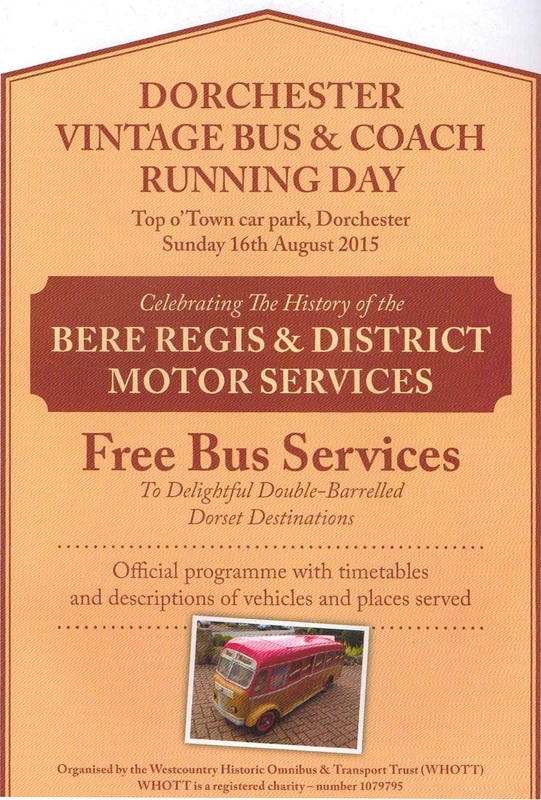 Last Sunday (16th August), the West Country Historic Omnibus and Transport Trust (WHOTT) organised a vintage bus & coach running day in Dorchester to mark the publication of their latest publication – An illustrated fleet history of the Bere Regis & District Motor Services. 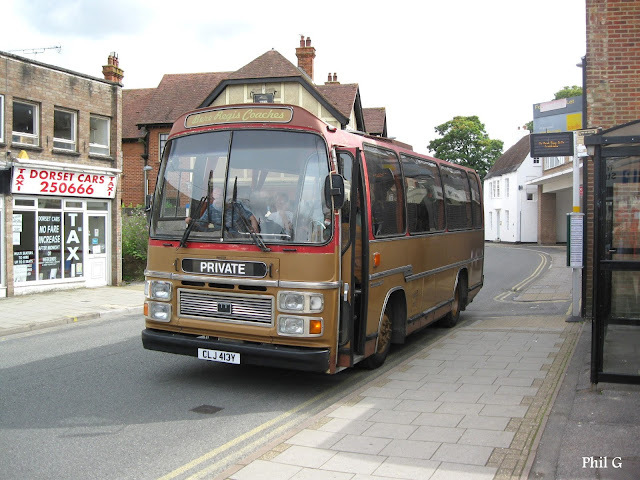 Bere Regis & District Motor Services was an independent coach company that operated a large network of rural bus services through central Dorset between 1929 and 1995, mainly using a fleet of elderly coaches. It was therefore appropriate that this event recreated 10 of these services with a variety of different vehicles. 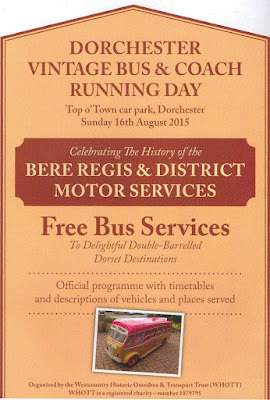 This was a really fantastic event, with services departing from the former location in Dorchester used as the Bere Regis & District terminal, now the Top O' Town car park. The organisers were very happy with the way it went, and numbers of travellers was about right, so there is hope it may be repeated at some stage in the future, although originally intended as a one off to mark the launch of a new Bere Regis book. Long Bredy and Little Bredy on the 9, Compton Valence on the 10A and Came on the 15. Also double deckers were used to places I have never known double deckers to operate to; Stratton, Grimstone and Frampton on the 11, Charminster, Forston, Goodmanstone and Cerne Abbas on the 4, Broadmayne and Warmwell on the 25 and Piddlehinton on the 29. 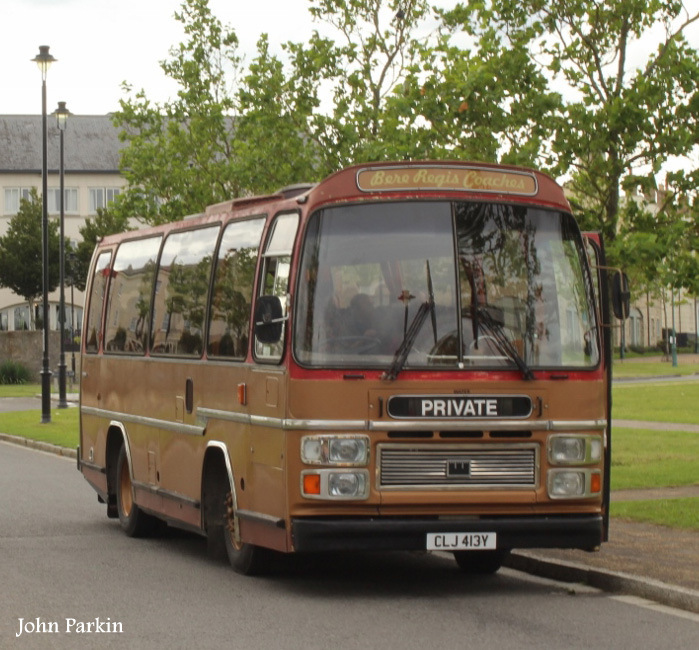 Double deckers also ran on the 1A to Puddletown, Tolpuddle, Shitterton and Bere Regis, and the 6 to Poundbury. The 9 and 10A featured only mini/midi bus operation due to the very narrow roads (or maybe best described as footpaths in some cases). The timetable / programme was the best I have ever seen, and for only £4 too. In full colour on glossy paper, not only was there a timetable for the 11 routes operating, and vehicle details, there was an extremely comprehensive "Travelogue" of each route. A route history would perhaps have been good to include, but I suppose such details are in the Bere Regis book on sale.